Begin by placing a foot into the middle Easy Grip loop of the CLX. This will become your back foot during the exercise. 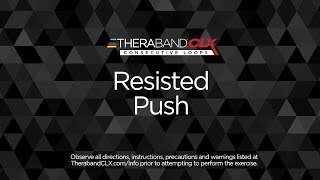 Place each hand into the last easy grip loop of the CLX. With your non-anchored foot, step forward and slightly lunge as you raise your hands into a "blocking" position.